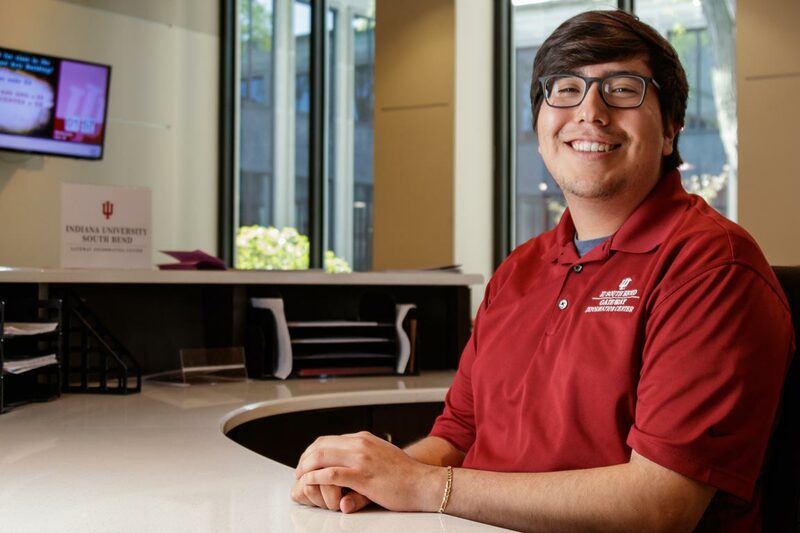 Gregorio is taking full advantage of the many opportunities for students at IU South Bend to get involved in clubs and organizations. He oversees social media and promotes events for the Latino Student Union, the Black Student Union, and the Civil Rights and Social Justice Club. “It’s been a great way for me to meet people who have the same goals and interests as me,” he said. When he’s not working or participating in club functions, Gregorio studies. He especially likes his science labs. “I enjoy working with my hands, and putting the concepts I learn in class into action,” he explained. The bio-chemistry major has plans to go to medical school after he completes his undergraduate degree at IU South Bend.